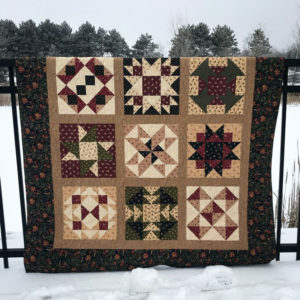 We have a NEW Embroidery Block of the Month! 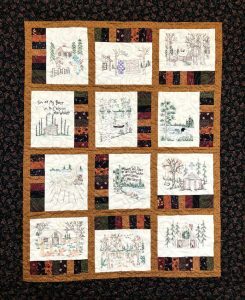 Northwoods Memories Quilt 1 starts Thursday, April 18th from noon to 1 pm, and runs for 12 months. The cost is $10 per month, pattern and setting kit are sold separately. Call 763.633.4669 or stop by today to sign up!